Two high-rise fire incidents in the past two months could provide a much-needed impetus for Dubai residents to be more vigilant in securing their belongings. The spire on the Almas Tower in Jumeirah Lakes Tower caught fire last month, a minor incident that was quickly put under control but nonetheless required residents to be evacuated, while the Zen Tower went ablaze just last week, stirring discussions once again about the importance of getting home insurance coverage. Lack of awareness about insurance products is cited as the main reason only very few UAE households have insurance coverage. A survey last month by price comparison website, Yallacompare, said only 10.9 per cent of residents have home insurance. According to the survey, almost a quarter of respondents thought that insurance policies are too expensive, while nearly 12 per cent believed that home insurance is the responsibility of a landlord. • Building and contents insurance – ideal for homeowners who are self-occupying. • Buildings insurance covering house only – perfect for homeowners who have rented out their property. • Contents insurance covering contents and personal belongings – suitable for tenants. 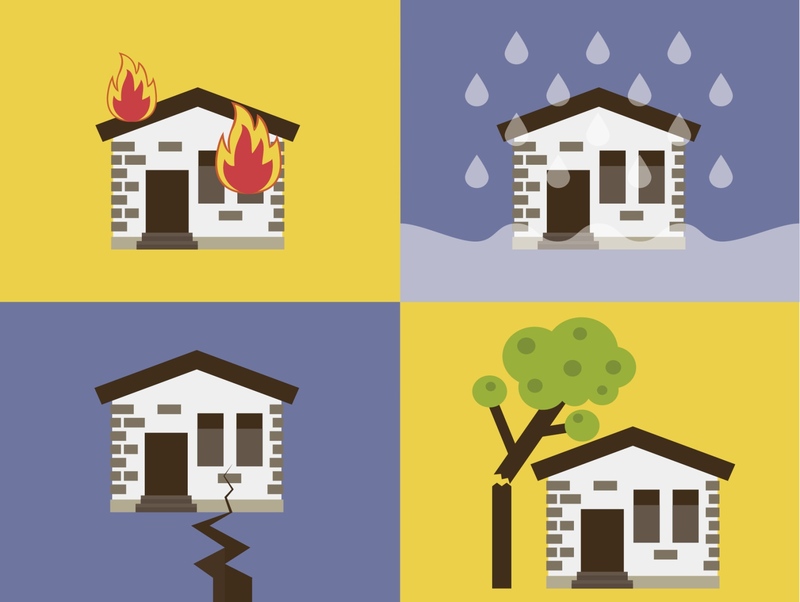 These are all misconceptions that need to be addressed, according to Jonathan Rawling, chief financial officer of Yallacompare, emphasising the need to educate residents about the critical importance of home insurance. Damodhar Mata, senior consultant at Nexus Insurance Brokers, believes only about 70 per cent of UAE residents do not have home insurance, but she agrees that lack of awareness is a major culprit. “There is a misconception among residents that home insurance costs a lot and it is only for people with large homes with lots of valuable contents within,” says Mata. “Residents also believe that the process of availing home and contents insurance and claiming in the event of loss is cumbersome,” adds Mata. Contrary to what many believe, home insurance is affordable and necessary for all, whether one is a homeowner, tenant or landlord, says Mata. The claim process in UAE is also more straightforward than in other parts of the world, he adds. “For an apartment worth Dh1 million, with contents worth Dh100,000, the annual premium could be less than Dh1,000 per year,” says Mata. “This covers the building and the contents from loss due to fire, theft, water leakage and includes third-party liability. In percentages, it works out to be less than 0.090 per cent per year. For residents who are renting, they only need to insure the contents and third-party liability, for which the annual premium could be less than Dh500. The liability insurance provides coverage for repair costs, legal fees and medical bills if one accidentally damages a neighbour’s property or if a painter or plumber is injured while working on one’s premises, Mata further explains. Khetra Reddy, senior wealth architect at Elixir Wealth Solutions, says those who buy property though a financing facility will have to take home insurance more seriously. • Choose the right type of cover and riders by evaluating your protection needs (home, contents, possessions, domestic help, liability). Take expert help where necessary. • Get adequate cover from a reputed insurance company. Trying to save a few pennies by underinsuring your home and contents is a terrible idea. • Compare insurance before you buy. Providers have different packages; choose the one that suits you best. • Hassles during claims mainly arise due to lack or misunderstanding of the scope, limitations and exclusions of the policy, non-disclosure or underinsurance. Hence, read and understand home insurance before buying the cover.